Golfers, Who Has Your Back… And Shoulders? Today I’d like to share with you a couple of innocent-looking exercises. Of course, you always have to look out for the quiet and innocent ones, at least that’s what my granddad told me. 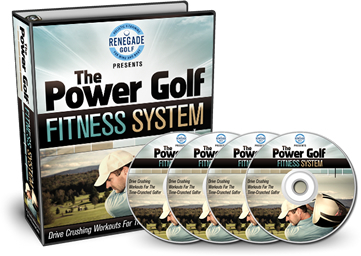 These exercises are for relatively small muscle groups, but the stability that they provide (or not) can determine how much strength and power you can create with your big-prime-mover-muscles in your golf swing. Much like The Big Bang Exercise, these don’t look like much. 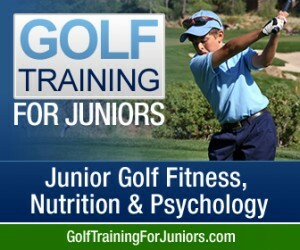 But if you put real effort into them, they are both challenging and rewarding, in terms of how they transfer over to your golf swing. Without further adieu, let’s get after it! Why you need to do it: Strengthens the lower trapezius and several muscles that stabilize the shoulder girdle. These muscles are notoriously weak among recreational golfers, and greatly diminish both consistency and power, and can lead to overuse injuries. 1. Place the band around both wrists, and stand 6-8’’ from a wall. 2. With your chest high, keep a posterior pelvic tilt (Pink Panther). 3. Start with the band at eye level, and your forearms lightly touching the wall. 4. Abduct (spread apart) the band as wide as possible and maintain the tension and spacing (the goal will be to keep you wrists over your elbows during the entire set). 5. Exhale as you extend (reach upwards) with your arms, keeping light contact with the wall. 6. Inhale as your return to the start position. 7. Maintain tension on the band at all times,and move at a slow pace of 3 seconds up and 3 seconds down, for 8-10 reps.
Why you need to do it: Strengthens the rear delt muscles. 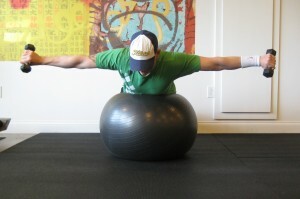 Again, this is a crucial muscle in the stabilizing and protection of the shoulder against the forces of your golf swing. 1. 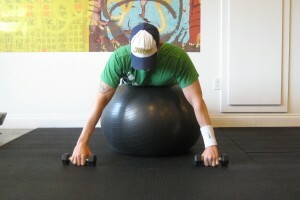 Position the Swiss Ball in your upper abdomen, feet against a wall, and spine in a neutral position (eyes looking straight down towards the floor). 2. Lock out your arms and have your palms facing down towards your feet. 3. Exhale as you raise your arms up parallel to the floor and pause for 1 second, while squeezing your shoulder blades together. 4. Be sure to keep your arms out from the body, and almost in line with your ears (your body will naturally try to bring your arms closer to your ribs). This System consists of a detailed manual and videos taking you through all four phases of The Renegade Golf Fitness System, just like the tour pros (but modified to fit into the schedules of people with “real lives” and commitments), and everything can be performed at home with a band and a Swiss Ball. Pay attention to the smaller muscles… and Get After Old Man Par! Fernando – thanks for reading the blog. Be sure to check out the archives, and you will get emailed everytime we put up a new post (about once per week). 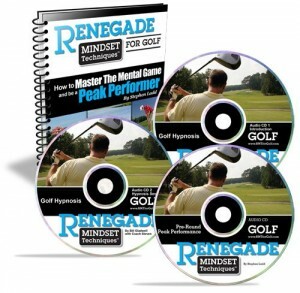 It is so important to know the exercises that will help my golf and I feel confident taking your advice. Keep them coming. Raymond, It’s my passion and I can’t imagine doing anything else. Appreciate you reading the blog and taking the time to comment. Please let us know what particular areas you would like us to address in future posts. We are here to help. Next post: Did Jim Furyk Sell Out With 5 Hour Energy?